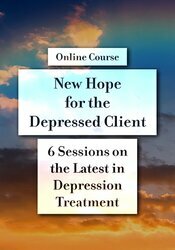 Margaret Wehrenberg, Psy.D., is a Licensed Clinical Psychologist, and the curriculum development director for Candeo’s online Depression and Anxiety Program. She is the author of five books: Anxiety + Depression: Effective Treatment of the Big Two Co-Occurring Disorders, The Anxious Brain, The 10 Best-Ever Anxiety Management Techniques, The 10 Best-Ever Depression Management Techniques, and The 10 Best-Ever Anxiety Management Techniques Workbook, all published by W. W. Norton. She earned her M.A. specializing in psychodrama and play therapy with children, and has years of experience as a certified drug and alcoholism counselor, working with the U.S. Army in Germany and Lutheran Social Services in Illinois before earning her Psy.D. and beginning a private psychotherapy practice. Her outpatient clinical work has focused on anxiety, depression and trauma recovery with adults. Currently, she sees private clients through Wehrenberg and Associates in Naperville, Illinois. 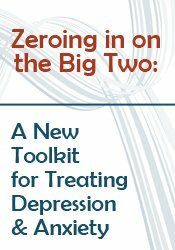 In addition to clinical work, Margaret is an international trainer for mental health clinicians and she is a frequent contributor of articles to The Psychotherapy Networker magazine and has produced Relaxation for Tension and Worry, a CD for breathing, muscle relaxation and imagery to use with anxious clients, as well as a client workbook, Stress Solutions: Ten Effective Strategies to Eliminate Your Stress. Financial: Margaret Wehrenberg maintains a private practice. She is an author with W.W. Norton publishing and receives royalties. She receives a speaking honorarium from PESI, Inc. Non-financial: Margaret Wehrenberg is a member of the American Psychological Association and the Anxiety Disorder Association of America.